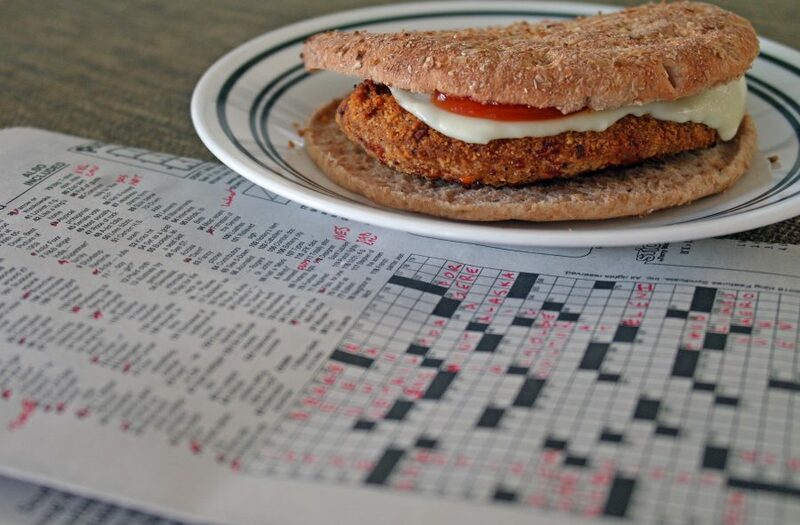 It may seem like nothing could be more dull than a crossword puzzle and a chicken cutlet. You adventurers can have your fun and eat it, too– in whatever form it may be. See, sometimes it takes a slow day and a mental challenge to get you through the rough times. The world hits you every day, at all hours, from all sides, with distractions and interruptions. Unplug and pick up a newspaper– only for the games, the news is terrible– and kick back. Try to make time away from the distractions and find out what’s inside. You may find ketchup, a lightly breaded chicken cutlet, and provolone cheese, but we think you’ll find much more.